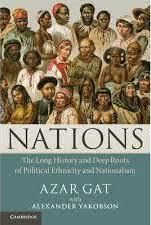 Azar Gat is one of my favorite scholars. He does not seem to be one who bows before fashion. 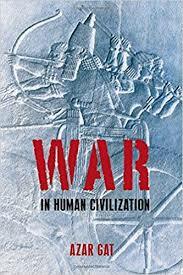 If you haven’t, I recommend War Before Civilization a great deal. Overall I think this is an unhelpful and polemical way to present the facts. I am not a Hindu nationalist. But neither am a secular Indian. In the Indian context “secular” means a very precise thing which is not covered simply by being an irreligious atheist (which I am). As an American who has an intellectual, but frankly no deep emotional, interest in South Asian affairs it is up to Indians to sort out their cultural and political conflicts. But, just as the “Out of India” Hindu nationalists strike me as in the wrong, it seems clear that some secular Indian intellectuals engage in polemics unfounded in fact, or shading the truth in a manner that serves their ideology rather than the facts on the ground. The past was very different. And other cultures are very different. 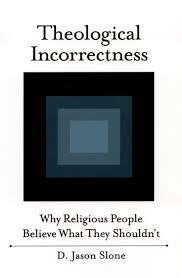 But they are not incomprehensibly different. Outside of Europe the antecedent of the present is not simply the past of Europe. 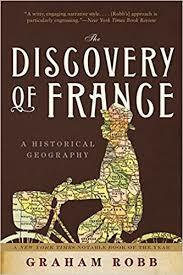 Other societies differ from Europe and reacted in various ways to the colonial experience, but the European shock is not the sum totality of what they are and what they will be. The terms and concepts we use to scaffold our comprehension of the world around us are important in their details, but they are not what we are comprehending. Just because we see the past darkly through the glass does not entail that we should simply refashion the past in our easier imagingings. This has happened to me 5 times. Makes me uneasy that people think it’d be normal & ok to dislike people of another nationality so much I’d be offended to be mistaken for one. I happen to have Saloni’s genotype and she is certainly closer genetically to Sindhis than to most other South Asians. That being said, my own response to her tweet is this: my personal experience is that many liberal Pakistani & Indian Americans are highly nationalistic. To be honest, it’s mostly Indian Americans. I don’t know too many hyper-nationalistic Pakistani Americans. I think that has to do with the fact that despite India’s social-political problems, its democratic and pluralist history, along with the international appeal of Mahatma Gandhi, makes it easier to be an Indian nationalist than a Pakistani nationalist if you are an American. Also, there is a cultural “code-switching” that is common among Indian Americans, where they are fluent in, and totally embedded within, a Left-of-centre cultural zeitgeist in the American landscape. But, they also are comfortable switching into their parents’ more Indian nationalist views in different contexts. Rather than synthesizing the two worldviews (which may not be possible), Indian Americans just switch facultatively between the two, because the two social milieus never really engage each other. Because I am Bangladeshi American it is hard for me to relate. Bangladesh is a very young nation. Both my parents have spent more than 3.5 times of their life living in the United States than an independent Bangladesh. In fact, both lived as Pakistanis for far longer than they lived as Bangladeshis! Additionally, it is not a major geopolitical player, and there are ambiguities with the relationship to both India and Pakistan enough that socially my family has felt comfortable with both Indians and Pakistanis in the USA. P.S. I do get annoyed when I’m identified as Pakistani American by people just because of my last name. Since I am not vocal about being a “Bangladeshi American” I only find out later people had assumed I was Pakistani. Apparently, in some Indian circles, I am known as a “Pakistani American geneticist”, albeit not a particularly nationalistic Pakistani (told to me by an Indian journalist friend). One of the major conclusions of Diarmaid MacCulloch’s The Reformation is that Protestantism only captured societies with finality when the most powerful temporal leader pushed for the change from above or maintained the pressure. The “magisterial” Reformation succeeded in those nations where the king or the most powerful aristocrats defended Protestantism and made it their own. In contrast, in much of Austria, Hungary, and Bohemia, vast territories which had been won over to Protestantism were slowly brought back to Catholicism over the course of the 17th century under imperial direction and force. The process is outlined in Benjamin Kaplan’s Divided by Faith: Religious Conflict and the Practice of Toleration in Early Modern Europe. It was a deliberate campaign to retake ground lost by the Habsburg monarchy and the Catholic Church. The grinding down of Protestant faith in Hungary left such bitter feelings that Hungarian Calvinists marched with the armies of the Ottomans in the late 17th century during the Battle of Vienna. Even today the center of Hungarian Calvinism is in the far east, which was longest under the protection, neglect and toleration of the Ottomans. French and Polish Protestants were well represented among the elites and parts of the nobility. Both states offered the Protestants a modicum of toleration, more or less, but in neither instance they did they capture the monarchy. In France, the Protestant Henry IV famously converted to Roman Catholicism, because the monarchy of the French state was tied so closely to the old religion. Polish Protestants, always a minority but concentrated among the upper echelons, slowly lost their position in society over the 17th and 18th centuries, to the point where being ethnically Polish and being Roman Catholic were synonymous. In contrast, the French Protestants suffered a major immediate shock when Louis XIV revoked the toleration and independence that they had enjoyed explicitly. They either had to convert, emigrate, or retreat deep into isolated areas such as the Massif Central. But did this really hold? Henry VIII certainly dragged an England that wasn’t entirely comfortable with leaving Catholicism, especially in the north, to Protestantism (though not too far, as the Puritans would learn!). 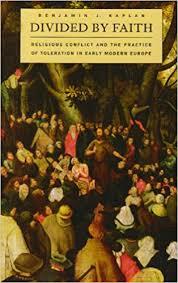 The Scandinavian monarchs transitioned their nations rather quickly to Lutheranism. The Dutch Protestant minority, motivated, concentrated among elite elements, rebelled against their Catholic Habsburg monarch, but rallied under the Protestant House of Orange. And yet there were other cases where cuius regio, eius religio did not hold. Arguably Henry IV’s conversion to Catholicism illustrates that the monarch was not all powerful…but this case is confounded by the reality that his kingship was conditional on his conversion. In 1613 John Sigismund of the House of Hohenzollern made public his conversion to Calvinist Reformed Christianity. 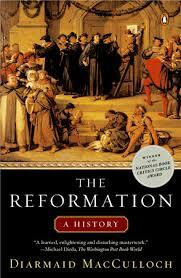 His Lutheran subjects balked, and did not follow him. Prussia remained a predominantly Lutheran domain with Calvinist rulers for hundreds of years.In 1697 the Wettin House of Saxony converted to Catholicism. While a minority of the subjects of the Hohenzollerns were Reformed Christians, almost no Catholics were present in the domains of the Lutheran Electorate. The overthrow of James II of England in part due to his Catholicism shows that by the latter half the 17th century cuius regio, eius religio did not hold. The people were self-conscious in having a particular religious identity, and top-down pressure would be met and resisted strenuously. It is sometimes stated that nationalism and self-identity emerged as late the French Revolution. I do not agree with this. 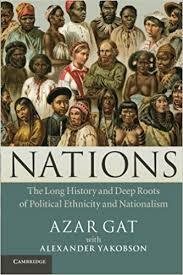 Rather, I agree with Azar Gat’s position in Nations, that nationalism has deep historical and cultural roots. But that does not mean that I believe English self-identity in 1300 is and was the same as English self-identity in 1800. The Gordon Riots of 1780 illustrate how a strident Protestantism had become part and parcel of English national self-identity. In contrast, though there were religious conflicts between the early 16th century (with some rural peasants, especially in the north, retaining loyalty to the Catholic religion) and into the period of the English Civil War, the ultimate outcome seems to have been a matter of mobilizing elites, and up until the overthrow of Charles II retaining the favor of the monarch. At some point the English monarchy personified the nation. The nation was not simply the extension of the monarch. Anti-German sentiment during the First World War resulted in the switch of their dynastic name from Saxe-Coburg & Gotha to Windsor. Today in the age of social media we talk about the power of the mob. 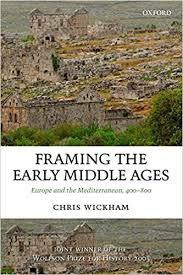 But it seems like something happened between 1500 and 1750 in much of Western Europe. Nations-states shifted from being syndicates of elite interest groups ad powerful individuals, to becoming expressions of popular will and sentiment. This preceded democracy or liberalism by generations, and it was a gradual process. Mass society and identity emerged. Immovable, with its own will. And this had happened before historically, from Greek democracies to the Roman republic. Polities were reflections of the public. At some point citizens become subjects, and the populace were simply resources from which to extract rents to fund aristocratic positional contests. 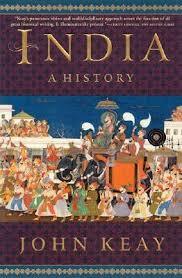 The information revolution of the printing press, and economic development more generally, changed the calculus. The past came back. These sorts of dynamics are universal, cyclical, and playing out to differing extents across the world. Related: On the rectification of names and religion. A post over at Brown Pundits. The party has its origins in the nationalist movement Bevara Sverige Svenskt (”Keep Sweden Swedish”)…During the mid 1990s, the party leader Mikael Jansson strove to make the party more respectable, modelling it after other “euronationalist” parties, most prominently the French National Front. This policy continues to be followed by the present leader Jimmie Åkesson. This effort included ousting openly extremist members. Bevara Sverige Svenskt (”Keep Sweden Swedish”) was a Swedish nationalist movement based in Stockholm and is a slogan used by various Swedish nationalist parties. The stated objective of the BSS movement, and the aim of the slogan, was to initiate a debate in order to reduce immigration from non-European countries and repatriate non-ethnic Swedes.